Thanks to the power of modern technology, laptop computers provide amazing flexibility and convenience for today’s computing needs. 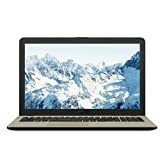 Whether you’re looking to stay entertained while traveling, to continue your novel wherever inspiration may strike, or to finish important business projects while out of the office, there is a laptop to fit your needs and budget. With diverse size and component combinations available, however, it may be tough to know which laptop is right for you. To make the shopping process simpler, we’ve drawn up this guide to get you on your way. Gaming laptops: These are laptops geared for gamers. They come with great graphic cards and good processors needed for undisturbed gaming. They generally have 17inch screens for high visibility and because they are not used in conventional environments they tend to be more creative in style. Chromebooks: This is a laptop that runs Chrome OS, a Google operating system. They are ultra thin and light and are designed to be used while connected to the internet. Because these laptops don’t have a lot of hardware, they are much lighter and great for travel. These are perfect for people who want to convenience of a tablet in a laptop form. Ultrabooks: These are Intel trademarked notebooks offering longer battery life. Their minimalistic design is aimed at providing a lightweight computer that can be taken anywhere. A great balance between portability and performance, these make for great business laptops. Macbooks: These are Apple powered notebooks offering all the state of the art technology of Apple in a lightweight efficient unit. These are available in Pro - perfect for developers and designers, and Air - great for everyday use. These are quality notebooks renowned for style and performance. Touch Screen: Touch screen laptops have the added advantage of interacting with them by physically touching the screen. Great for supervised use with youngsters or ‘drawing’ your art right on the screen! Notebooks: These are lightweight laptops, designed to fit into briefcases and in some cases purses to make business portability easy. They generally offer a good battery life and are a perfect way to take your office wherever you go. 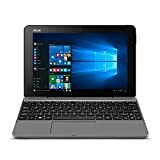 Ultraportable laptops: Ultraportable laptops are the smallest and lightest of the bunch, weighing under three pounds with 11-12 inch screens that draw very little power. They typically have great battery life because of their small screens, and are the best option for everyday carry computers, for travelers with limited luggage space, or for people without access to power outlets for extended periods of time. A convenient machine for the on-the-go lifestyle! 13 inch laptops: 13 inch machines are a sweet spot of portability and ease of use. Still lightweight enough at 3 to 4 pounds to easily carry around, 13” laptops have screens and keyboards that are large enough for lots of typing or for putting together that important business presentation . Consider a 13” machine if you plan to do a lot of work on your laptop and travel with it regularly. 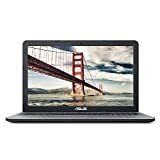 Mid size 14 / 15 / 16 inch laptops: Laptops with 14, 15, or 16 inch screens are great computers for business professionals or regular users who want a display and keyboard that are similar in size to a desktop computer. At 5 to 6 pounds, they are an excellent combination of portability and functionality for the occasional traveler. 17 inch and larger laptops: 17 inch and larger laptops are considered desktop replacement machines, and are designed to spend most of their time in one location. The advantage of a large laptop over a desktop is that the monitor, keyboard, and other components are in a single, space saving unit that can be easily moved around if needed. 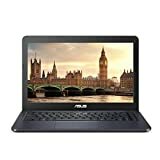 Great for college dorm rooms or for people that love to game or watch a lot of movies, high quality 17”+ laptops have impressive displays because of their size. Clamshell laptops: This is the standard laptop design that opens and closes like a book, where the screen and keyboard are inside when closed. The monitor and keyboard are always connected, which means that they never get lost! Adjustable / Convertible laptops: Some new laptop designs have screens that pivot around the body of the laptop, to mimic a drawing pad, or that disengage completely to become a tablet. These laptops have touch screens and are great for artists or people who desire the portability of a tablet but appreciate the added convenience of a keyboard. Keyboard size and feel: Whether you’re typing email, playing computer games, or just browsing the web, your keyboard is an integral part of your computing experience. Reviewers give high marks to laptops with large and well positioned keyboards that click responsively. Build quality: A sturdy case and solid hinges are signs of a high quality laptop body. Look for a machine that’s known for its solid construction, and feel confident that it will stay in shape for years to come. 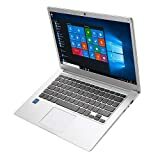 Customer service: If you’re a less experienced computer user, or if you have family that may need technical support when using the laptop, consider buying from a brand that has positive comments about its customer service. Quick and easy fixes mean more time for fun and productivity on your laptop. It’s nice to know you’re in good hands if you have computing questions! Battery life: How long can you use your laptop without a power source? Reviewers that travel frequently and aren’t always near a power outlet say that a long-lasting battery is one of the main reasons they love their laptop. And no matter your battery, you can extend its life by keeping heat down with a laptop cooling pad! How you plan on transporting your computer, and how often, should be your first consideration. Ultraportable laptops are easy to carry in backpacks or even large purses, and don’t add much weight to your day. Go small if you need to carry it around a lot, and go larger if a big display is important and weight is less of a concern! After weight, intended use is key. If you’ll watch movies and browse the internet at home, then go for a larger laptop and bigger screen to see every detail. If you’re a graphic design student who’s always sketching, consider an adjustable laptop with a touch screen to hone your skills no matter the time of day! 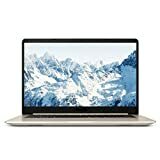 Business executives who draft reports, edit presentations, and stay in touch with colleagues would do well with a mid size laptop that travels well but has a larger keyboard and screen. And for serious gamers, there are dedicated gaming laptops that provide the most immersive playing experience. How much storage do you need? Laptops such as Chromebooks, which store your data online and retrieve the information from the internet, are excellent lightweight and inexpensive machines that start up quickly. If you like to edit photos or video or are often away from an internet connection, however, you’ll need a computer with a larger hard drive to store all your favorite pictures, movies, and documents. 500 gigabytes (GB) of storage is perfect for most users. More RAM, or Random Access Memory, means a faster computer. RAM determines how many tasks you can do on your computer at once. 4GB of RAM is standard on quality laptops these days, while 8GB will ensure you can edit movies, play higher-end video games, and use powerful apps long into the future. A long-lasting computer is a great investment, so consider spending a little more now in order to save big on replacing it in the future! Screen Resolution is important if you watch high definition, Blu-Ray movies or if you take photo and video editing seriously. The more pixels you have, the clearer your screen will be. Look for high pixel counts for crystal clear imaging on your display. Does it have a disc drive? Many laptops no longer accept CDs or DVDs. If you intend to watch movies on DVD, listen to CDs, or install programs from discs, you’ll need to choose a computer with a disc drive. But with so many movies, songs, and programs available online today, you still have plenty of options even without one! The number and types of ports on your laptop determine how many devices you can plug in at once. If you charge your phone from your laptop, use an external hard or flash drive, or plug in a mouse or desktop keyboard, then you’ll need a computer with two or more USB drives. A slot for a camera SD card is handy for editing photos without plugging in your camera. And you’ll need video-out connections, such as DVI or HDMII, if you want to display your screen on a projector, TV, or desktop monitor. You don’t have to use all these ports on your computer, but more options means greater flexibility and a more useful laptop. Protect your investment! With traveling comes inevitable bumps and bangs, so keep your laptop safe with a laptop sleeve, dedicated side/shoulder bag, or backpack to let you carry even more. All of these products are designed to pad your laptop from drops or sharp impacts and to keep your computer separate from the other items in your bag. A wireless mouse is a great, portable addition to your laptop computer, making working on the go easier and more efficient. ASUS: Taiwanese manufacturer ASUS draws their name from Pegasus, the winged horse of Greek mythology. In 2013, they were the world’s fifth largest PC and laptop vendor by unit sales. Toshiba: The Japanese company Toshiba was founded in 1938. Today they are a $60 billion global company with a world renowned laptop reputation. Lenovo: The Lenovo brand started in just 2004, but by 2013 they were the world’s largest PC and laptop vendor by units. Acer: Acer, a Taiwanese personal computer manufacturer, was the fourth largest PC and laptop vendor by units in 2013.